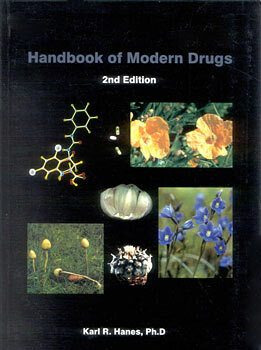 With detailed information on drugs such as Alcohol, Cocaine, Narcotics, Cola drinks, Valium, Nicotine, Smart drugs, Psychedelics, Herbs, Antidepressants, prescription drugs and other substances, Handbook of Modern Drugs is the most complete guide on drugs ever written. Provides a comprehensive analysis of the history, pharmacology, physical & psychological effects, health risks, illustrations and up-to-date references on [many] drugs of significance in the modern world. A book on the history of drugs, a book on prescription drugs, a herbal and critical reviews from the scientific literature all rolled into one package make this the standard reference on drugs for the layperson. Prescription drugs fully reviewed - side effects, interactions, health risks, use of each drug in sport and pregnancy - check with this guide before accepting a prescription from your doctor. All of the great herbs reviewed - from Ginseng, Ginko biloba, vitamins and Echinacea to Garlic, Valerian and Ginger - herbs for asthma, stress, insomnia, eye problems, gynecological conditions, the common cold and numerous other applications - all critically reviewed.